Ivy is a foreign investors-owned enterprise for the development and mass production of vehicle & platform automatic door systems. 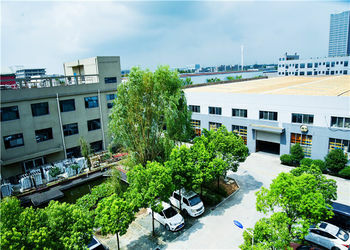 Located in Nanjing Software Zone Jiangpu Technology Park, It is built to supply world-class equipments to the fast growing public transportation industry. It owns the capacity to supply 20,000 sets of automatic door system annually. 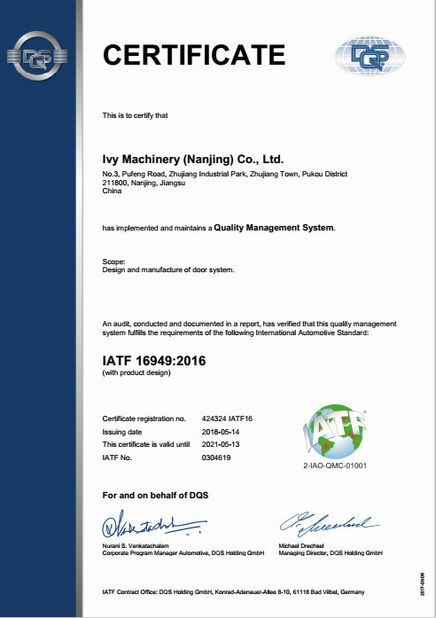 Founded in 2004, it has become a main automatic door manufacturer in Asia. 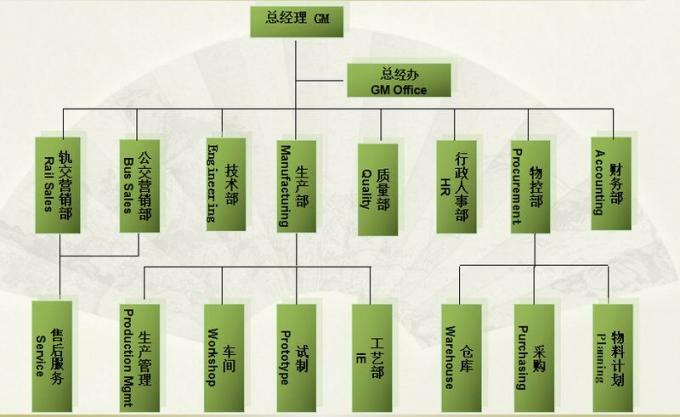 Its main customers include Qinghua Tongfang, CSR Puzheng Rail Rolling Stock Co., Volvo Bus, Yutong Bus Co., Ltd, BYD, Neoplan China, Changan Bus, FAI Bus and Coach Co., Ltd, Chengdu Bus Co. and so on. Since 2006, Ivy door systems and other auto and industrial components have been exported to the U.S., Canada, Australia, Germany, Indonesia, Thailand and other countries. 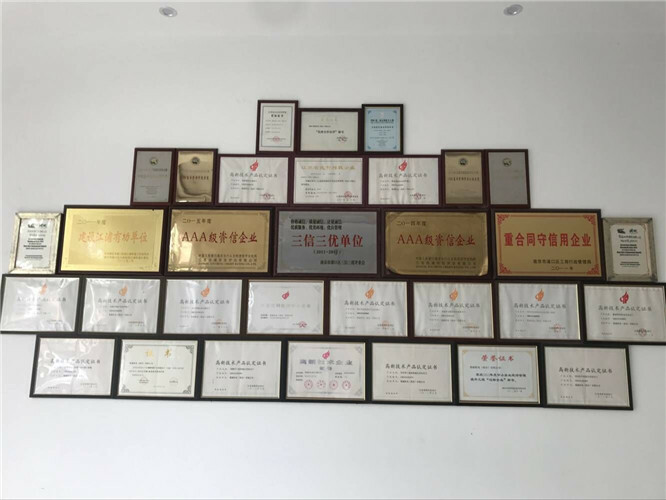 Its main products, win the Best Component Award in 2005, 2007, 2011, 2013,2018 National Bus Competition in China. 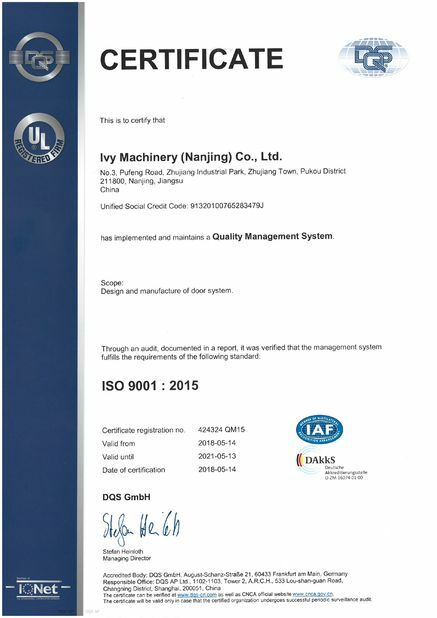 Ivy gets the ISO 9001-2000 certified in 2006, gets ISO/TS 16949:2002 in 2009, and get ISO14000 and 18000 in 2011. 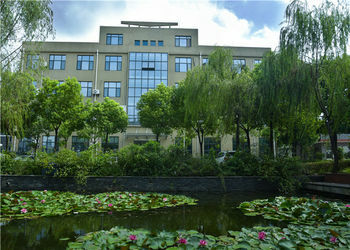 Ivy gains competitive advantage by supplying innovative and reliable products. It owns more than forty patents in the automatic door industry. 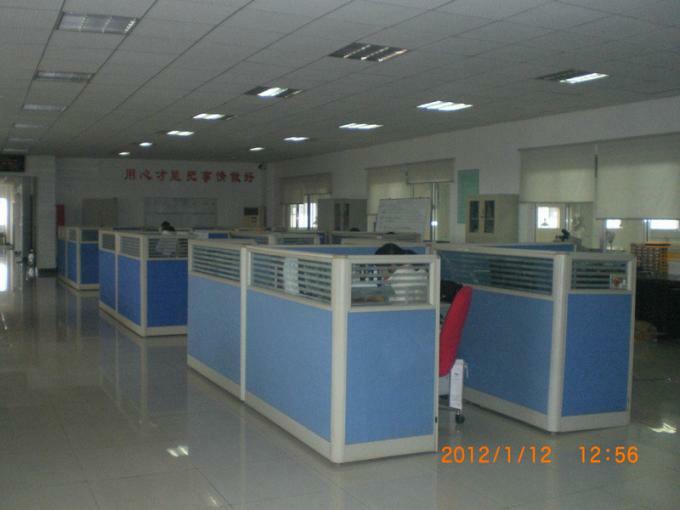 All Ivy new products have to pass function, durability, and environment tests. After several years’ researches, Ivy has developed doors for railway platform and railway trains. With its patented key technologies such as two-directional driving mechanism, over-center locking and synchronous mechanism, Ivy has gain more and more recognitions in rail industry. Ivy will contribute itself to the public transportation industry by supplying safe, reliable , energy saving and cost effective products to our customers. 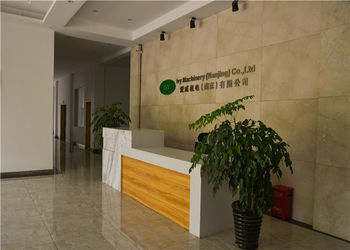 To be a customer-driven company, delivering customer with high quality and unique products through innovative technology and continuous operation improvement to grow and share benefits with our customers, employees and shareholders. PF300 platform safety door for BRT bus stations. PF400 platform door system for rail stations. 07/2012 Get “2011 Qinghua Tongfang Elite partner ” certification. 11/2016 Start to batch supply AFC products. To be a customer-driven company, delivering customers with high quality and unique products through innovative technology and continuous improvement to grow and share benefits with our customers, employees and shareholders.